Rethinkings that can generate energy and foster vitality? In this vein, I would like to explore how, in the span of two books, I have come to increasingly situate modern Jewish philosophy in the larger framework of religious studies theory. I always thought of myself as a philosopher of religion who happened to work with thinkers rooted in the Jewish tradition. My first book, titled Monotheism and Tolerance: Recovering a Religion of Reason was published in a philosophy of religion series. It sought to recover a tradition of religious rationalism within Jewish philosophy, namely the work of Moses Mendelssohn and Hermann Cohen (I also engage the work of Immanuel Kant) in order to reframe discussions about the intolerant nature of monotheistic religions. In Monotheism and Tolerance I present Hermann Cohen (1842-1918) as successfully navigating the tensions between particularity and universality at the heart of monotheistic intolerance and thus of use for contemporary discussion. For the next few years my scholarship focused on further elucidating various dimensions of his vast and complicated oeuvre. However, both in the secondary literature and in my own experience presenting on Cohen, I was frequently presented with critiques of his work as not authentically Jewish, as too Christian or too German in its concerns. It was during this period of time that I began to earnestly study intellectual historians and theorists like Susannah Heschel, Suzanne L. Marchand, Tomoko Masuzawa, and Russell McCutcheon. I increasingly came to regard modern Jewish philosophy as embedded in a network of discourses about race, religion, and modernity. While the critiques against Cohen that I encountered were problematic for many reasons, they helped me to recognize that there were more fruitful ways of study modern Jewish philosophy than approaching it as a series of rarified arguments regarding how best to understand what Judaism was, or how Judaism understood the world. Instead, I began to emphasize how modern Jewish philosophy was an ongoing process of constructing Judaism in relation to Christianity, Europe, and modernity. 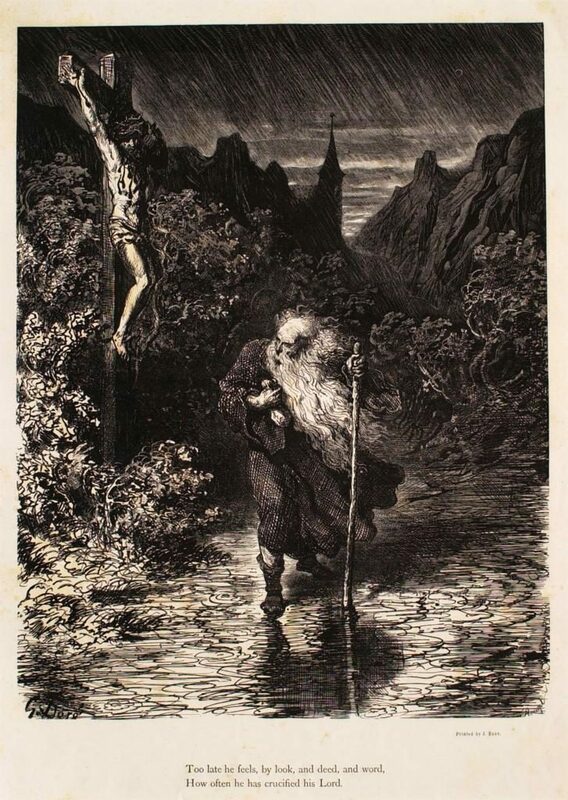 Cohen was indeed making use of tropes and concepts that would resonate with German culture and Christianity, he even made use of Jesus, because he claimed that Jews understood Jesus better than Christians, and that Judaism was inextricable to German identity. To grasp the power of this argument, one has to recognize that Cohen was writing at a moment when Orientalists, Historians, and Christian theologians claimed that research could show Jesus was not Jewish and that the New Testament should be freed from Jewish moorings. Cohen’s sophisticated arguments, which were widely read and not merely by Jews, were actively making a case for the inclusion of Jews in German culture. So now, in my recently published book, Judaism and the West: From Hermann Cohen to Joseph Soloveitchik, I highlight modern German Jewish philosophy’s relationship to larger trends in religious studies, particularly the attention to ‘world religions’ and its relationship to Christianity. I do this by tracing various iterations of Judaism as elaborated by 5 canonical Jewish thinkers over a span of 50 years. Rather than examining modern Jewish philosophy using the history of ideas or worldview approach, I have come to offer a historically informed study of the notion of religion, particularly the category of ‘world religions’ and the ways in which Jewish thinkers felt compelled to strategically respond. In The Invention of World Religions, Tomoko Masuzawa calls attention to a “‘process of mutually interactive development’ between European representations of non-Christian religions and, on the other hand, the native appropriation, reaction, or resistance to such representations.” Jewish and non-European thinkers adapted European paradigms, methodologies and assumptions without accepting — and often, actively resisting — their Eurocentric conclusions. I treat modern Jewish philosophy as one such tradition or collection of assimilation, adaptation, and resistance to the European traditions of knowing and mastery in regard to the study of religion and culture. While I do not wish to claim that this is the only way the study of modern Jewish philosophy should proceed, I do want to emphasize that recent developments in religious studies scholarship cannot be ignored. Modern Jewish philosophers were not simply working out timeless essences or abstract arguments about Judaism, they were also responding to new scholarly technologies that were shaping and reformulating European identity, which in turn affected how all those they came into contact — which included Jews — understood themselves. Rethinking philosophy of religion as a network of encounters, with appropriations of European identities and working with and against new scholarly technologies and sensibilities not only can invigorate a discipline, such as modern Jewish philosophy, but it can also help to situate it more comfortably in religious studies departments. This entry was posted in Guests and tagged Christianity, Comparison, Context, Essence, Eurocentrism, Jewish Philosophy, Judaism, Philosophy, Robert Erlewine, Russell McCutcheon, Tomoko Masuzawa, William Arnal by admin. Bookmark the permalink.